Amazon Prime’s breakout comedy-drama “Transparent” has won countless awards and earned universal critical acclaim, but the one thing that becomes abundantly clear when you sit down with the show’s cast is that they are easily the biggest “Transparent” fans on the face of the earth. As much as audiences love the complicated dynamics of the Pfefferman family, the main ensemble loves it more. But any praise or congratulations you could possibly lend to their excellent performances — from Jeffrey Tambor’s Emmy-winning turn as Moira to Judith Light’s feisty Jewish matriarch Shelley — is instantly rejected and redirected to its rightful owner: creator-showrunner-writer-director Jill Soloway. Mention Soloway’s name and the cast instantly lights up, quite eager to talk about her “artistic genius” and “auteur capabilities.” Regardless of how many years each actor had been in the business, when speaking with Indiewire each cited Soloway and her singular process as a unique entity, something that will forever be a highlight of their time as actors. The creator, meanwhile, is just as obsessed with her cast — while she’d never be content with taking the credit, there was a flicker in her eye that suggested she knew how the performances are a result of the freedom she gives them onset. 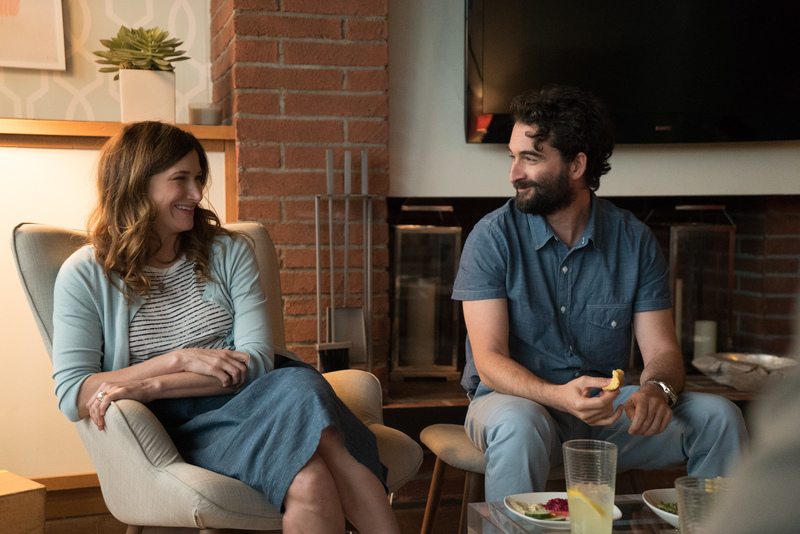 Soloway’s approach here is quite unorthodox in the world of television, but it’s a method the cast has fallen in love with and contributes to the show’s creative success. Below, five of the key cast members from “Transparent” weigh in on the effects of Soloway’s auteur methods and explain just how unique this experience is to this show. “It inspires everyone to be on, all the time. When they start rolling camera, you have no idea where they are or who is getting what, so everybody just has to go and do it the way they would do it. They might not be filming me, but I’m constantly thinking about what Tammy would be doing in that precise moment if she was being filmed. It becomes this world, this living and breathing world where everyone is just alive and existing in it. It’s a really sort of surreal experience to just have every member of the cast in a scene all just existing as their characters, but that’s what you get at some points on this show. AND what’s even better is that nobody cares about coverage, because even if you aren’t ‘in the shot,’ you being in character creates the world in which whoever is in the shot, and allows it to be authentic.